I’m still working on getting the last of my colouring books republished under my new author name – it’s almost done now, and the second edition should be up in about a week. I’ve been so buried in working on these books this year that I haven’t had time for much else, but now there’s light at the end of the tunnel, and I’m going back to doing other types of art too. I’m really happy about this! Here is a mandala that I just drew on my iPad. Going forward, I’ll be putting out more of these, as well as other types of work. I enjoy drawing and painting both digitally and traditionally, and getting back to watercolour and acrylic painting is a big priority for me once I’m up to date with the books. I’ll post all my new things here as they’re ready. 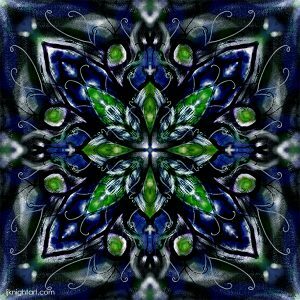 This entry was posted in Prints & Products, Updates and tagged Digital Art, Mandalas.